Dave Watson is the founder of the website gig-photographer.com where concert photographers from all around their world can showcase their work. He is interviewing amazing people like Christie Goodwin, Danny North and Adam Elmakias and built a community with the aim to help people who found their passion as music photographers. Hi Dave! Thanks for being my guest today. You are the mastermind behind the amazing website gig-photographer.com. What is your background? Hi Matthias. Thanks for inviting me for a chat. Yes, I run gig-photographer.com – from my home and in my spare time. For my ‘real job’ I am an art director at a marketing agency in Oxfordshire, England. I also run my own freelance design agency in my spare time as well. I’ve been a designer for over 15 years now.I stumbled into music photography about five years ago. A couple of my friends started a band and wanted some live shots for their Facebook page. They knew I had a camera and I was into photography, so they asked me to help them out, and of course I said yes. A few gigs later I was hooked. Like every other hobbyist I got the bug for shooting because it combined two of my favorite things: music and photography. Oxford has a great music scene but the venues are small, so the lighting set up isn’t great. I quickly learnt how to get the most out of my entry-level Cannon 450D. From there I began shooting gigs in and around Oxford and after developing a decent body of work I managed to become one of the house photographers at the O2 Academy in Oxford. The venue is owned and run by Academy Music Group (also known as AMG or LiveNation), who operates a number of medium-sized venues across the UK. Getting the gig at the O2 Academy Oxford was a massive learning curve on many levels. It opened my eyes to concert photography. It was the first time I experienced house rules, like only shooting the first 3 songs and rights-grabbing contracts. And yes, I was one of those hobbyists who shot for free… all the time, every time. The arrangement the Academy had with house photographers was you shoot for free and you’ll get a free ticket, which included a +1 on the guest list. After two years I had become pretty fed up with the situation I was in working there and decided to stop shooting altogether. It was also around this time my wife was pregnant for the second time and I thought “I don’t need this anymore, especially when I’m not getting paid”. I also realised the damage people like me were making to the music photography industry so somewhat gracefully bowed out of the scene. At the moment I don’t shoot bands anymore, which is a shame, but I have too much on – what with my job, my own creative agency and gig-photographer.com. Oh, and not forgetting I am a husband and father (they do come first of course). When did you start gig-photographer.com and why did you create it? When I started out in music photography, like most people, I went straight to Google to find what essential settings I should use, how to set up my camera, what lenses to use, what to expect, who to contact etc. You know what? I struggled to find all the answers. What I could find was other photographers’ websites who had blog posts with tips and tricks and such – like Todd Owyoung’s website for example. Todd’s website is great, but what surprised me the most was there wasn’t a website dedicated to the genre of gig photography, one that wasn’t purely an individual’s site. I did find some social media groups, like ‘Music Photographers‘, but I wanted to find a genre-specific website. I could not believe that there wasn’t a go-to website that celebrated the art of gig photography and one that supported the gig photography industry as a whole. Someone will probably post a list of sites that do exist that I didn’t find, but at the time I was searching I didn’t find what I needed – so I decided to create the website that I was looking for. And that’s how the idea for the site was born. This was around September 2012, so between then and the launch some six months later, I put in a lot of planning and preparation work to get it right and get a buzz going to launch it properly. I launched the site on Friday 1st February 2013. I was so excited. With my marketing, branding and design experience – coupled with my love of music photography, I knew I could make it work. One thing I have learnt over my years as a designer is to concentrate on the idea. Without an idea and a genuine passion in what you are doing, there is no point in doing anything. I knew I had a great idea for the site and so long as I kept that central to everything I did, I knew I was on the right path. I agree with you Dave. I started about the same time as you did and besides Todd’s website there was not much information around about music photography. Talking about branding, you have a really cool logo for gig-photographer.com. Thanks. I’m really pleased with the logo I created for gig-photographer.com. It’s one of the best logos I’ve created. I’ve never created something that has connected with so many people. If you create a logo that makes people want to tattoo it on themselves it’s one hell of a compliment. It’s hard to get my head around it sometimes. What do you feel makes the concert photography and in particular the gig-photographer.com community special? It is special because every single music photographer loves what he or she does, and as a result they are passionate about it. Music photographers at their core love music and photography. To combine those two passions, no matter how big or small the band is, is a wonderful privilege. To capture those special moments that happen in front of you on stage is awesome and addictive. Joining social media groups and contributing to gig-photographer.com helps us to stay connected, share tips & tricks and learn about our industry. It was following Music Photographers’ Facebook page that made me aware of the issues around rights-grabbing contracts and the negativity associated with hobbyists who shoot for free. I didn’t realise how much damage had been caused by this surge of hobbyists shooting for free – and when I was shooting I was one of them. That is one of the reasons I stopped shooting, because I knew that what I was doing was wrong. Don’t get me wrong, when you’re starting out you have to shoot for free because you’re shooting for yourself. It is when you start shooting for someone else that you need to start putting value your work. Without the awareness from the social community gig-photographer.com wouldn’t be where it is today. It has enabled me to ask the right questions to professional music photographers during my interviews with them. By asking the right questions we can share their knowledge and professional experience with our community.I also encourage our contributors to write articles for the site as well. By sharing their knowledge and experiences I know that our visitors get a lot out of them and learn a lot. In my opinion sharing tips, especially about the music business is crucial to raise the awareness of younger photographers. We have discussed this issue in my interview for gig-photographer.com and I am very grateful for this awesome opportunity. Dave, how do you select photographers for the big interviews on gig-photographer.com? When I started the interviews it was a slow build because the site was just getting established. I send our standard Q&A doc (‘Behind the Camera’) to all our new contributors, which acts like a bio in a way. As more contributors came on-board more interviews were posted, so as it gradually picked up pace I was able to start emailing established photographers asking them for an interview. After the pace picked up and I started emailing more established professional photographers, I began emailing them back after the interview and asked them to recommend to me who I should email next. This worked a treat, as this was a recommendation from either a friend or a fellow professional. That has by far and away been the most successful part of the site and it’s a well-oiled machine now. Things took a sharp elevation once I landed the Danny North Interview. He was awesome. He was so generous with his time his answers were really great insights into his take on music photography. He had some great tips for hobbyists too, which really resonated with me personally. When I asked him what advice he had, he said, “Go on a journey and make a story. Forget the arenas and the academies… If you want to impress editors and art buyers, find a unique way to tell a story, the lifestyle of a band touring Europe or the States in a Transit van is an endless photo opportunity.” When I emailed Danny after we published the interview he was great and emailed me a bunch of suggestions for my next interviews, one of which was Adam Elmakias. He was equally generous with his time and then it goes on; I ask them to recommend someone and every time they do. The high caliber of photographer’s I interview is the standard now and it pretty much came off Danny’s interview alone. I owe him a lot for that. I still haven’t interviewed all of Danny’s suggestions. I need to build up a few more ‘big names’ before I try those ones. I am very excited to share with you that I am very close to finishing an interview with Todd Owyoung, which is very long but also very cool. You’ll need a big pot of tea (or something stronger) to get through this one. You also give new and upcoming photographers the chance to showcase their work. How can someone participate on your site? Firstly they need to check out the site, have a look at some of the posts and see if they want to be a part of it. It is not for everyone, so you need to see how your work will be shown and if you are comfortable with sharing your photos in this way. Then, check out our about page which has all the info you need regarding image sizing, supplying photos etc. Finally, email me at info@gig-photographer.com with some links to your work (website, flickr page or whatever) and if it meets the standard I will respond with an invitation to become a contributor. In pretty much every case I say yes, but if your work isn’t up to scratch then the response is ‘thank you, but no thank you’. For someone new to gig-photographer.com, how do they get the most out of it? It’s simple, send me your photos and when they are published share it with your social media followers. If you are a keen writer and like to share your photography experiences you can write for gig-photographer.com. That can sometimes go a long way to getting your name out there and creating a name for yourself. We’ve had a few photographers have a stab at writing for the site and it’s always better when it comes directly from the person who lived through their story. I actually contribute very little to the website; everything I post comes from someone else (except the interviews). This brings it back to what I always intended – a music photography website, for music photographers, by music photographers. What are some of the hot topics that seem to always be discussed within the group? What do you think concert photographers struggle with the most? We try to echo a lot of the trends and topics that come up in social media groups. There are also things that we have learnt during our webinars in the Q&A sessions. I also get questions sent in on email. Quite often (with the persons consent) I post the question in the hope our readers comment and contribute their opinions. A good example of this was when someone emailed in asking about how much to charge for a project they were offered. The subjects we cover tend to be things like getting paid or how much to charge, getting on a tour bus, contracts, settings, lenses, branding, social media… We cover a lot, whether it is through contributor’s articles or interviews. I think every area of being a music photographer is difficult to get your head around when you get started, and when you do get going there are even more questions, like licensing, getting paid and making the leap to go professional etc. The problem with a lot of music photographers is that they weren’t professional photographers before they went into music photography. They have no experience of standard professional photography practices, like how to price up a job, licensing, copyright etc – so the areas around going pro are always a big topic. If you could ask your community of gig-phtogorapher.com one thing and get an answer from all of them, what would that question be? That is a hard question to answer. I think it would be something about monetising. As I said earlier, I do all this off my own back and in my own time – which I know makes gig-photographer.com suffer sometimes when photos don’t get posted straight away. I set up a merchandise store and occasionally post affiliate links but these have been slow burners and unfortunately we have only sold a few bits of merch. The merchandise is done through Spreadshirt so the commissions are very low in order to make the items a decent price. I would love to be able to generate some revenue so I can get some help with running gig-photographer.com. I don’t pay any of the contributions to the site so everyone does this for free, so I’ve always struggled to find the right way of generating some revenue that doesn’t put people off contributing. It’s a tricky one, so I guess my question would be to ask how our contributors feel about me including more monetising elements into the site – what would they be comfortable with and what wouldn’t they be happy about. I’m not intending putting big banner ads on the site because that wouldn’t be right. But I wonder if some areas of the site could be sponsored by a photography brand, like the interviews for example. Has anything surprised you about owning a community platform about concert photography? I had no idea how much reach the site would have; gig-photographer.com genuinely has a worldwide audience with contributors from all over the world, which freaks me out every time I think about it. And being a guy from a small village in Oxfordshire I never thought I’d create a website that’s core audience is from the USA. It doesn’t matter how experienced or knowledgeable you are, there is always something new to learn. Setting up this site, launching it and driving it forward into what it is today has been hugely rewarding and I am constantly surprised and energised by it. 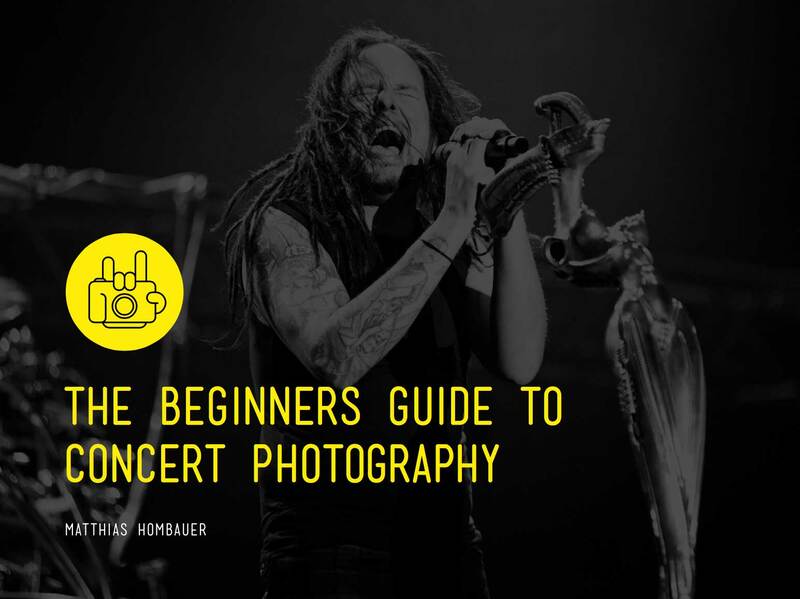 Dave and I did two ‘Concert Photography 2.0’ Webinars together and it was a blast. We received a lot of positive feedback and had a lot of fun. So, we have the same attitude about sharing our knowledge and helping others. Did you also receive negative critique about your platform that you give away too many secrets and therefore open the market for even more young photographers that will flood the concert photography business? Whilst you have the best interests in the world you cannot please everyone. I have been pretty lucky actually, gig-photographer.com doesn’t draw as near as much negativity as some of the social pages out there. In answer to your question: No, I didn’t receive any negativity from the things we talked about and I haven’t had anyone complain about giving away secrets and opening up the market. I think that is because gig-photographer.com is not a platform for my photography or anyone else’s specifically. It is a website for all music photographers and because it is ‘faceless’ I guess there is no one to pinpoint. I try to keep it positive the majority of the time, especially with the interviews. If we talk about subjects that can cause a bit of controversy I try to steer it in a way to ask if they have some ideas for some kind of resolution to the issue, or if there are any tips they can share with people who may be partly responsible for that issue. What really gets me is I read a lot of negativity on various social media groups and that is counter-productive. If you are annoyed about something, come up with a solution to the problem and lets all work together to go about starting a change. We need to support each other and try to fix the problems together. Like with me, when I was shooting for free I had no idea how much damage I was causing to the industry. It’s not just the photographers who are to blame though; it is those that employ them for free that share that responsibility. I think the truth is our industry is already flooded with aspiring music photographers. That isn’t necessarily a bid thing though. I think it has become our responsibility to help as many as we can and educate them into understanding sound, ethical business practices. We need to help them to work smarter. We need to help them to learn to value their work, respect their art and their industry. How do you see the future of gig-photographer.com? Oh I have loads of ideas about gig-photographer.com and how it can grow. The trick will be how to go about these ideas and the amount of time I can put to it. I think there is a great deal more to learn for all of us and the webinar we did opened up a load of ideas. We can do more webinars with you and other professional music photographers. We can talk about all manner of topics and include our audience more as well, like a webinar workshop or an hour-long Q&A session. This experience has made me think about google hangouts or something similar. I think it would be pretty cool if we managed to get you, Christie Goodwin, Danny North and Adam Elmakias in the same virtual room to talk about the music photography industry for an hour or so. That could be pretty awesome. I would love to be able to share the workload of posting photos with a couple of people I can trust who can post photos as they come in. The site is managed using WordPress. My big problem at the moment is sometimes I post photos a couple of weeks after they were sent to me, sometimes later – which I am fully aware is not good. I haven’t asked for help before because the way it stands currently I can’t pay anyone – which means if I did recruit one or two people they will have to be people whom I can trust, willing to work for free, doing it because they believe in the purpose of the website and believe in how important it is. I know this is a complete contradiction when you consider the ‘don’t work for free’ stance, so it’s a real catch 22 situation for me. I would love to be able to earn a bit of cash out of the site, to help with running costs and pay for some of my time. If I can find a way of bringing in some decent revenues then the idea of recruiting some help becomes more of a viable situation. First and foremost I am a graphic designer and I love magazine design. It would be amazing to put gig-photographer into print and create a magazine or at least an annual book. However, this might have been a sound business idea about 10-15 years ago but magazines in print has been going on a downward spiral for quite some time now. I’d need some serious backing or partnering with an established publisher to make this happen. I am not going to produce an e-zine or e-book by myself because I simply don’t have the time and personally I’m not overly keen on e-books. I have tried to contact some of the biggest magazine publishers in the UK but without any reply. I know you can do a lot of on-demand books now but the other stumbling block is copyright and approval from the artists, so whilst this is something I’d love to do, it seems a long way off happening. Ultimately I want the site to grow and build on its social following. This is the most realistic short-term goal. Considering the site is just shy of two years’ old we have a good amount of hits on the site. On average, each visitor checks out 7 pages per visit, which is a bounce rate of below 0.5%. It means the site is working and is on the right path. That is the most important thing to me and long may it continue. Thank you Dave for sharing with us your insights into the world of gig-photographer.com. For me it’s one of the best and most valuable music photography websites around and I am happy to be a regular contributor to your site. So, it´s your turn guys! Take this great opportunity, check out gig-photographer.com and send Dave an email if you want to contribute to his site. Thanks Dave for your time and good luck. Win a gig-photographer.com T-shirt and my limited Rockstar Keyrings! In partnership with Dave we are giving aways 1x gig-photographer.com T-Shirt (variable sizes) and 3x of my limited Rockstar Keyrings. 1. place and winner of 1x gig-photographer.com T-shirt goes out to Hendisgorge! Congrats man, what a wicked shot of Dead City Ruins !